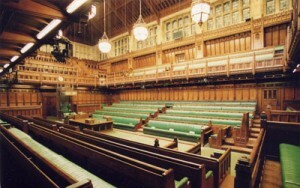 The Welfare Reform Bill completed its Commons stages on 15 June and completed its Committee stage in the House of Lords on 28 November. It had its first two days of Report stage on 12 and 14 December, with more expected in January 2012. The government will come under pressure to review its plans for direct payment of housing benefit in parliament today. Crossbench peer Lord Best has tabled an amendment to the Welfare Reform Bill calling for tenants to be given a choice as to whether housing benefit is paid direct to them or to their landlord. The bill is currently being debated in the House of Lords. Under the proposals as part of the welfare bill, the housing element of the universal credit will generally be paid direct to tenants. However, campaigners are concerned the new rules will mean tenants fall behind in rent payments, meaning they could risk losing their home. Housing associations are also concerned the change could discourage lenders from investing in the sector. Last month welfare reform minister Lord Freud announced six demonstration projects to trial direct payment of housing benefit. Lord Freud said changes would not affect ‘vulnerable people and pensioners’ but that the ‘majority of claimants renting in the social sector will be responsible for making direct payments to their landlords’. Gingerbread charity says nearly 300,000 families could go without child maintenance under proposals announced in the welfare Reform bill. Almost half the single parents who use the Child Support Agency (CSA) would not be able to afford to pay the fees to access the new child maintenance service, according Gingerbreads survey. The poll found that 46% would not be able to afford the application fee of £100, or £50 for those on benefits. The survey found that 72% of respondents said they would be unable to agree private arrangements with their former partners, which means their children could go without maintenance support. Under proposals in the Welfare Reform Bill the CSA is to be phased out and be replaced by a child maintenance system which will include a compulsory “gateway” service for those seeking to claim money. Single parents would have to show they had taken “reasonable steps” to set up an arrangement with their former partner otherwise they would have to pay the application fee of £100 or £50, as well as an ongoing charge of between 7% and 12% of the money collected by the service. The department said its own research showed around 75% of fathers using the CSA and 51% of parents with care (mostly mothers) could make arrangements with the right help and support.